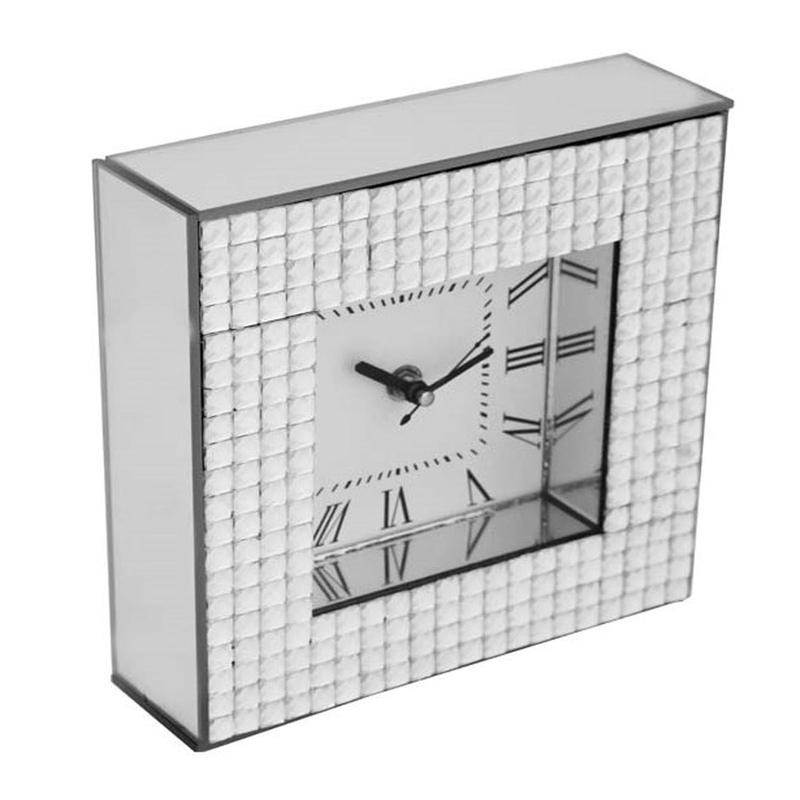 This luxurious table clock would look absolutely stunning a living room, bedroom or even a modern kitchen. It's made from all-over glass and has diamond like strips which will add extra sparkle to wherever you decide to place it. The face of the clock also is a level back from the actual frame, making this clock even more modern with its specific and contemporary design.